Bosphorus Cymbals Syncopation SW Hi-Hat Top Cymbal 14 in. 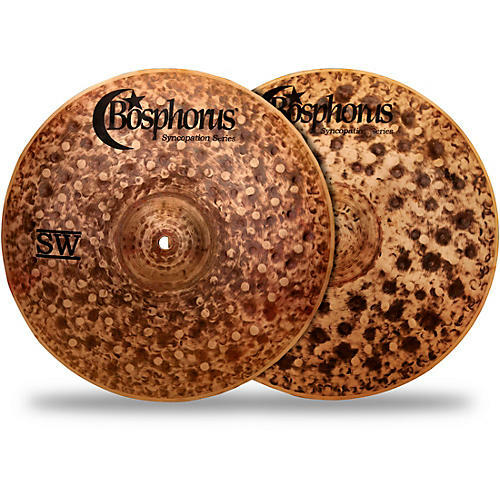 The Bosphorus Syncopation SW Hi-Hat Top Cymbals are 100% handmade from traditionally casted Turkish bronze. These hi-hats are excessively hammered which generates aggressive dirty sound with complex and rich overtones. The sandblasted finish offers a focused stick definition and stunning outfit. It's a very versatile cymbal for a vast array of genres at live and studio performances.